VoIP home phone service is a popular alternative to a traditional landline, offering cost savings and a strong set of features. In the United States alone, there are 76.6 million homes with VoIP phone systems. VoIP, short for Voice over Internet Protocol, is simply an internet-based phone service. This means that instead of having your phone calls delivered through traditional copper phone lines or via cellular voice, your calls are transmitted securely over your internet connection. Like traditional phones, VoIP services have a variety of features, including voicemail, caller ID, call waiting, and more. Moreover, many residential VoIP plans also offer a mobile app so you can access the phone service anywhere you go by using your mobile device. In addition to the many features that make VoIP a great choice for your home phone, VoIP’s affordable rates mean that you can get more and pay less. When we calculated the savings of using Ooma Telo VoIP service compared to current rates for landline or cellular voice service, users could save as much as 73 to 88 percent in the first year. Ooma and Vonage are both major players in the VoIP industry, and they’ve both been providing service for more than a decade. To help you decide which residential VoIP service is right for you, we’ll review the pricing, features, contract terms, service reliability, and customer service provided by Ooma Telo and Vonage. From the basics to the bells and whistles, let’s compare the features that Ooma and Vonage offer. With Ooma, the basics, such as voicemail, caller ID, call hold, and call return are free for all users. There’s also a free calling app so you can receive calls and voicemails when you’re on the go. All users can use Ooma to make hands-free phone calls using Amazon Alexa, or to pair the phone system with a network of smart home security sensors. There are also additional safety features offered by Ooma’s advanced 911 service. Instead of your emergency call being sent to a national call center, your emergency calls are connected to a dispatcher that’s local to your home. Additionally, your home address will automatically be transmitted to emergency services, so they’ll immediately know your location. While it’s easy to take 911 emergency service for granted, this critical feature should be an essential aspect of choosing the best phone service. Ooma users who upgrade to Premier service get access to a wide set of advanced calling features, such as Do Not Disturb, voicemail monitoring, call forwarding, custom ring patterns, low-cost international calls, and more. Premier customer can also use the instant second line feature so two people can simultaneously make calls using your Ooma phone line. There are also powerful tools to block telemarketers and robocalls and to integrate with smart home devices such as Philips Hue, LIFX, WeMo, and more. Comparatively, Vonage’s home phone service also comes equipped with a number of popular features, such as call forwarding, selective call block, caller ID, ring lists, and more. There’s also the Vonage Extensions App so you can access your service on the go. Another exciting feature is the boomerang app that helps your international connections avoid paying for your phone conversations. With this app, your preferred contacts calling from international locations will be automatically answered by Vonage with a recorded message asking them to hang up. Then, Vonage will automatically connect you both using your Vonage number, which means there’s no charge to them, and you’ll be charged at your calling plan’s standard international rate. With VoIP, call quality isn’t equal across all providers, making it an important consideration in choosing the best service. While we all may joke about the “Can you hear me now?” commercials, it’s certainly frustrating to lose parts of a conversation or experience garbled or stuttered audio. To deliver its high-quality audio, Ooma uses proprietary algorithms collectively called Ooma PureVoice technology, which includes HD Voice, advanced voice compression, adaptive redundancy, and wire-speed QOS. You can even hear the audio quality difference yourself. Under conditions where there’s 30 percent data loss, Ooma’s audio quality remains crystal clear, while the competitor’s audio is frustratingly poor. As with all product decisions, price likely plays a major factor in your decision. Vonage’s North America plan offers unlimited calls within the United States, Canada, and Mexico. If you sign up for a 1-year contract, rates are $9.99 for the first six months and $24.99 thereafter. If you’d rather not commit to a contract, the North America plan costs $24.99 per month. Therefore, one year of contract-free phone service would cost $299.88 without a contract. With Ooma, the Basic Plan is a contract-free phone service with unlimited calls within the United States. This ultra-affordable option only costs about $4 to $7 per month, depending on the taxes associated with your zip code. Many customers choose to upgrade to the contract-free Premier Plan for $9.99 per month plus applicable taxes. This plan provides cutting-edge access to Ooma’s full set of advanced telephone features. Plus, Premier service expands unlimited calls to include the United States, Canada, Puerto Rico, and Mexico. 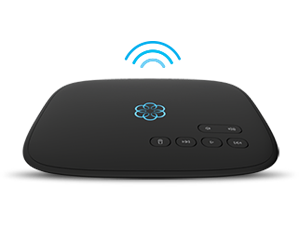 With Ooma, there’s an upfront hardware cost of the Ooma Telo, which retails at $99.99. This puts your first year of Ooma Premier phone service at $219.87. When compared to Vonage’s contract-free North American plan, Ooma Premier cost 27 percent less than Vonage phone service. In subsequent years, Ooma users save even more because they aren’t purchasing hardware. Ooma Premier customers would pay only $119.88 for a full year of phone service. That means Ooma users would save 60 percent on phone service, compared to Vonage. When choosing between Ooma and Vonage for VoIP residential service, Ooma provides more affordable rates with savings of 27 percent the first year and 60 percent each year thereafter. That’s a lot of money that could stay in your pocket by choosing Ooma over Vonage. The advantage of Vonage is that there’s no upfront hardware cost, but Ooma users spend far less overall. More than the savings, Ooma Premier phone service is robust with a wide set of features including call blocking to stop unwanted callers and integration with Amazon Alexa and other smart home devices. Additionally, Ooma offers high audio quality due to its behind-the-scenes technologies that work dynamically under changing conditions. Learn more about Ooma Telo residential phone service. It is not hard to see that you are the more cost effective manner. As a new user ,I was pleasantly surprised with the clarity, service , and responsiveness of ooma when I had problems setting up the equipment,that was easily done, except for an idiot like me. At least now I can save a lot of money. I wish that I knew about ooma a few years ago. 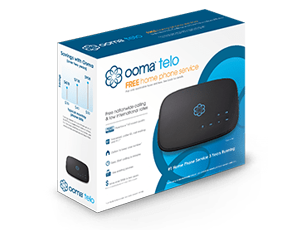 I have been very pleased with Ooma for the past year.However when your Ooma Telo device quit working and I have been without a house phone for 5 days so far! My device was only one year old .My cost to get Ooma was $219.03 . Then another $39.99 for a 2 year warranty on device. All of this certainly should have lasted for more then one year,beside the inconvenience of no home phone!! Will this happen each and every year? If so maybe Vontage is a better deal. I just switched to Ooma from Vonage. My primary reason for switching was not price, it was to block telemarketers. I used to get on average 1-2 telemarketers a day. With Ooma I’m at 1-2 a week. Now with Ooma, I’m seeing all the other options that I didn’t think were possible. I will acknowledge that the mobile android app for Vonage is better than Ooma. There’s definitely a lot to learn about this topic. I love all the points you’ve made.